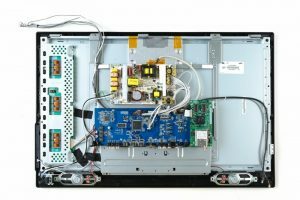 Some of the most common TV repairs are revealed in this blog. Televisions are pieces of equipment that most people use everyday, we are extremely reliable over televisions and when they become faulty they are thrown away. Televisions can be repaired. Dependent on the problem. One common TV repair includes a screen replacement, however at UK TV Repair one thing we do not repair is screen problems due to them costing around the same price as purchasing a brand new one. UK TV Repair have seen too plenty of TV’s in our time and the same problems always occur. Below are 4 common TV repairs that we have personally experienced. If you cannot switch television channels then most likely your TV is stuck in ‘air mode’. When a television switches to air mode there is a quick way to fix this issue. All you have to do is go into the menu options and reset your TV to cable mode. First things first if you haven’t already try switching the battery’s. If you have done this and still no luck then try changing the channels on the actual TV its self. If this doesn’t work then a call out may be required. Newer televisions actually turn them selves off at times and actually need to be manually turned back on. Check behind the set to see if there’s an ”on” switch, if not again this common TV repairs will require assistance. Televisions sometimes get a static image that sticks on the screen in the background. This is referred to as a burn in. A burn in occurs when the television has been left on for a while. When you are not watching TV you need to ensure that it is switched on to prevent this issue from occurring. These common TV repairs can be fixed sometimes simply but other times will be more difficult to get rid of. If you are experiencing one of these common TV repairs or any other issue with your television then call UK TV Repair on 0121 371 0011.